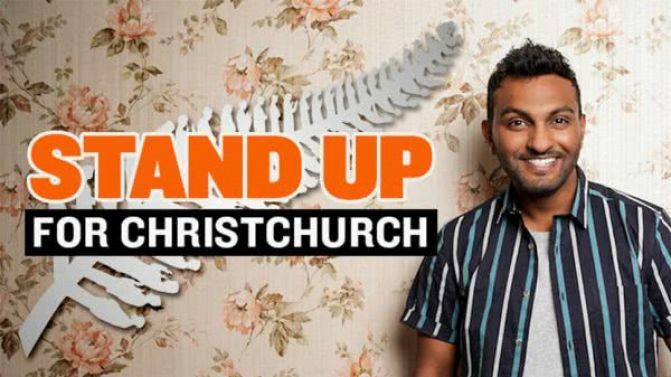 A whole plethora of Aussie comedians are banding together to perform a massive benefit called ‘Stand Up For Christchurch’, which will aim to help the victims and families impacted by the horrific Christchurch terrorist attack on March 15. It’s an impressive lineup of comics, including Arj Barker, Urzila Carlson, Nazeem Hussain, Dave Hughes, Cal Wilson, Matt Okine, Tommy Little, Frida Deguise, Celia Pacquola and plenty more. Hussain, who is MCing, actually organised the event, and spoke about how quickly the lineup came together. “This line up came together miraculously quick,” Hussain said. ‘Stand Up For Christchurch’ will be taking place on Saturday, 13th April as part of the Melbourne International Comedy Festival at Melbourne Town Hall. All proceeds from the event will go directly towards The Christchurch Foundation. Head to the foundation’s official website if you’d like to donate. Check out full lineup and all details below.